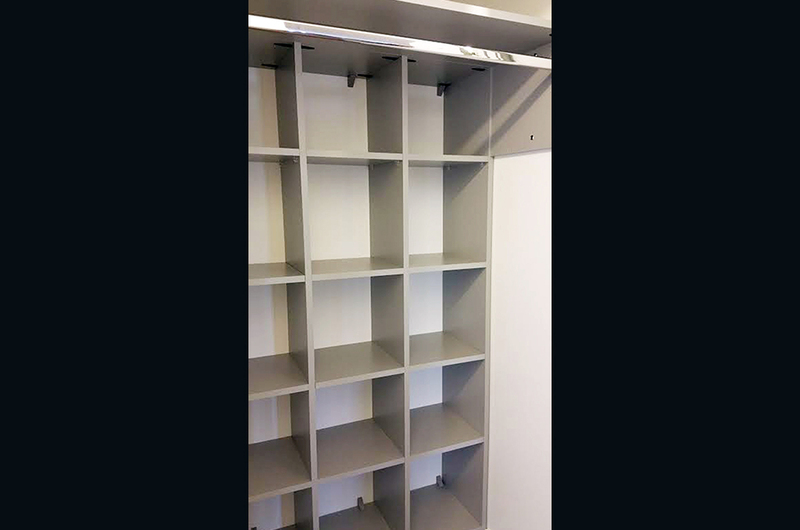 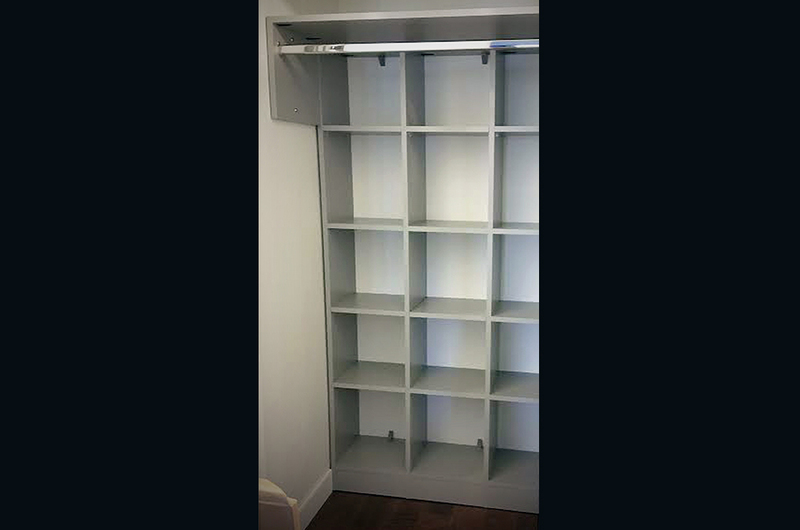 Reach-in closets are the most common type of closets. 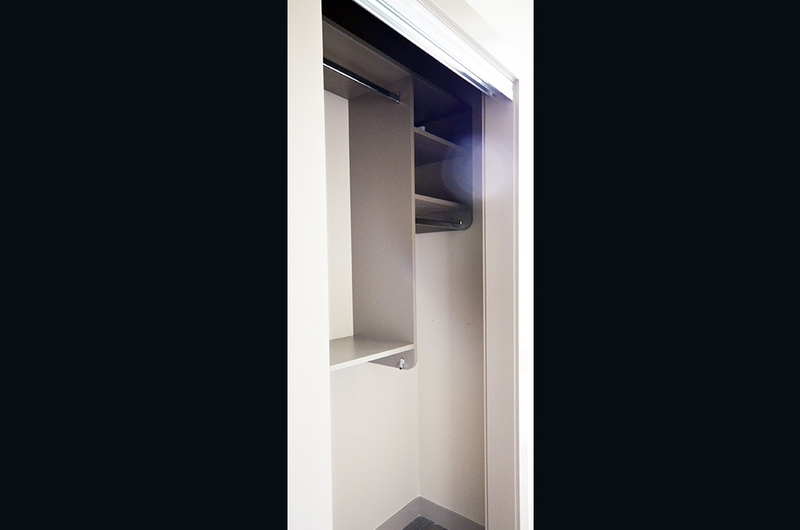 Reach-in closets are designed to be grab- and-go, which means everything is supposed to be laid out so you can see where everything is stored. 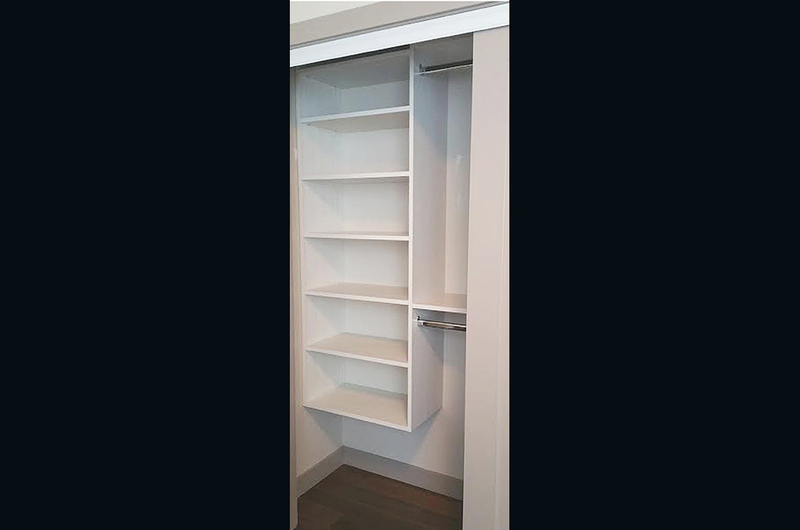 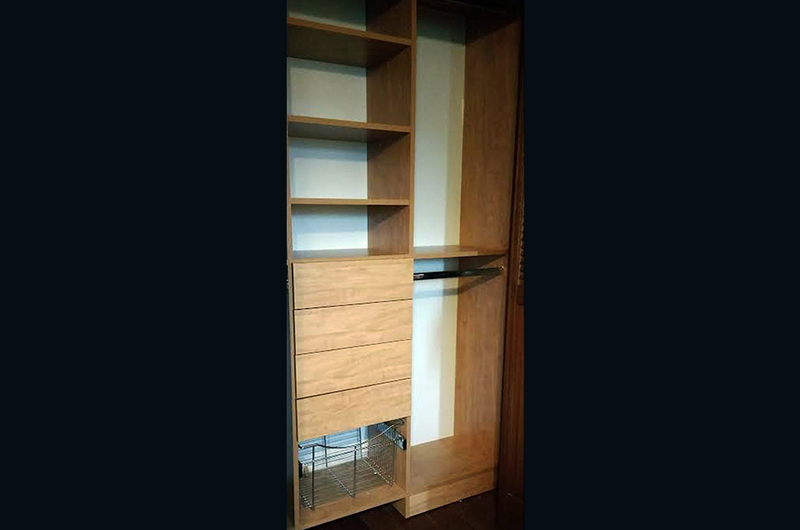 In order to maximize space in a reach-in closet and utilise all the hard-to reach spaces we suggest incorporating innovative storage components like adjustable shelving, laundry hamper, baskets, jewelry drawers, inserts, pull outs and more. 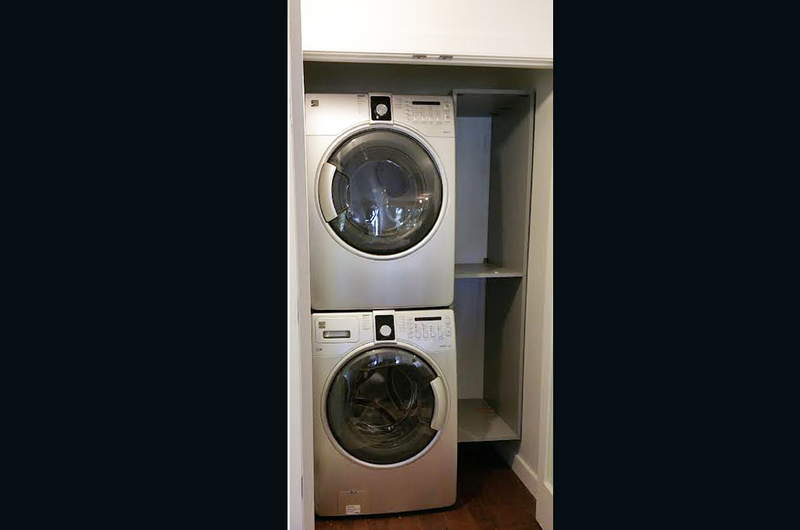 We also offer and can give you suggestions for the type of door that would work in for that space. 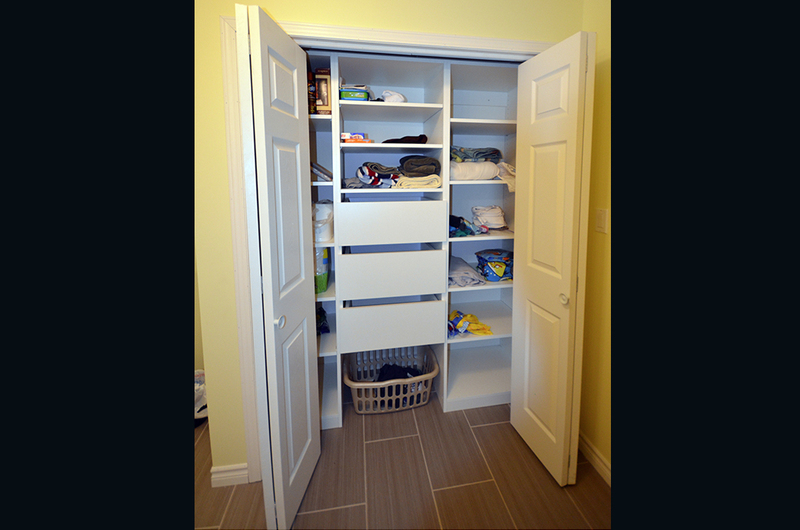 For a reach-in closet you can choose a sliding door, bi- fold or a swinging door. 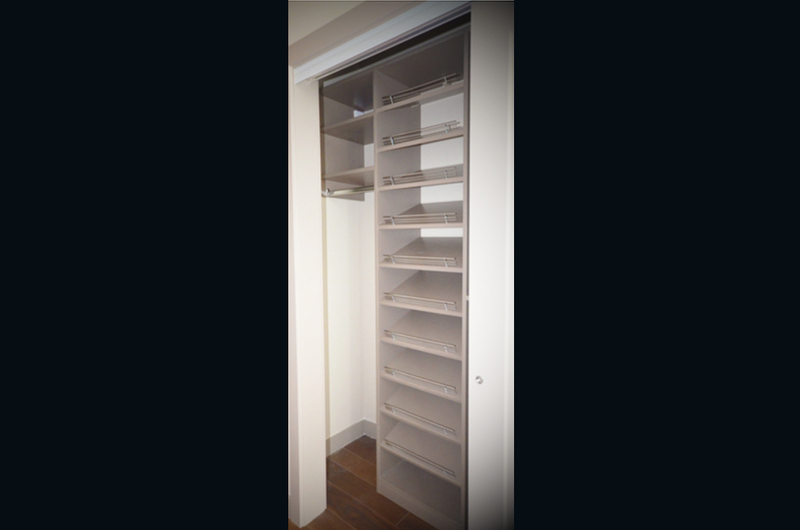 We can match the doors to the interior finish of the of closet components or any custom coloured glass.